With everything instantly available at the command of our hands these days, the art of using them to painstakingly accomplish something out of it physically is slowly fading away. Gone are the days when one will take on the porch chair, open the needle tin box, tag in the thread and make use of our hands to darn old socks, worn clothes and the ones that I used to love, cross stitching. 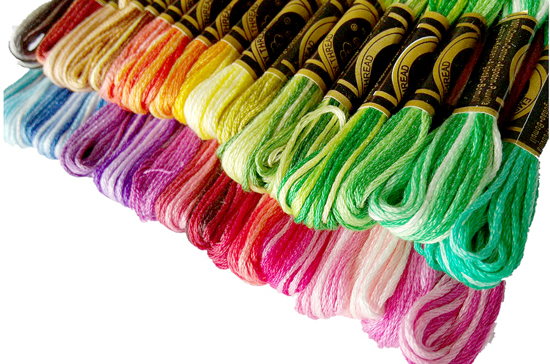 I remember in the heyday of the cross stitch art, I used to memorize the colour codes of the thread, rush to craft store to buy dmc threads and rummage for unique patterns none has ever done before. It was exciting while it lasted but it died down eventually. Thought I’d blamed it to smart finger technology. At least I’ve created, framed and posted several works done with my hands. A remembrance that once I used to harbour a ridiculous amount of patience and serenity to accomplish such an artwork. I’m prodded to translate the same inspiration to my children, but at the current rate of how technology transforms, evolves and overtakes everything done manually, I’d like to say, it’s hard to be a parent inculcating these values in this time and space. Whenever I let kids do something physically, it’ll always done through negotiations involving gadgets and wi-fi passwords. And the sad truth, it’s hard to get them focused on what you let them do. Thought technology in actuality put everything I’ve worked for into fleeting morals. True, the struggle is real in putting into action the good worth of patience into my kids psyche. In fact, they always interpret my intention to be rearward, that’s the truth. And I end up always explaining everything. I know circumstances differ. One will always have argument over the other on things that matter to them. But my truth is that there is a connection between this vanishing needle works and cultivating patience. And I know I need a lot of parenting mission to do.